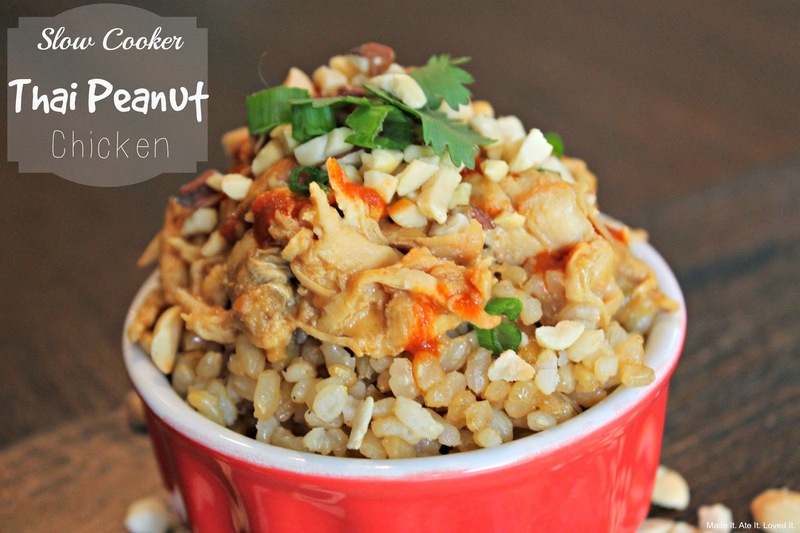 Slow Cooker Thai Peanut Chicken - Made It. Ate It. Loved It. I use my slow cooker on a regular basis and it has become one of my favorite tools in my kitchen. When life gets crazy slow cooker meals are always the way to go to be able to still get a warm meal on the table for you and your loved ones. 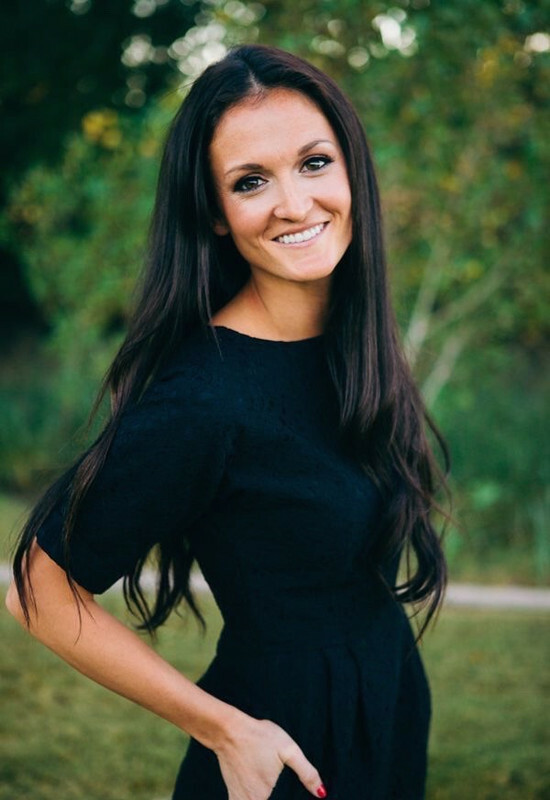 When I was at build your blog conference a few weeks ago I was able to sit and listen to an event given by Taste of Home magazine where he talked about when they publish magazines the ones that feature slow cooker recipes are always their top sellers. He also talked about how popular Sriracha is and using ingredients that are popular and in season when creating new recipes! Then when I got home and saw a package from Peanut Butter & Co. to participate in their mystery ingredient challenge I laughed when I opened to find that Sriracha was my mystery ingredient! 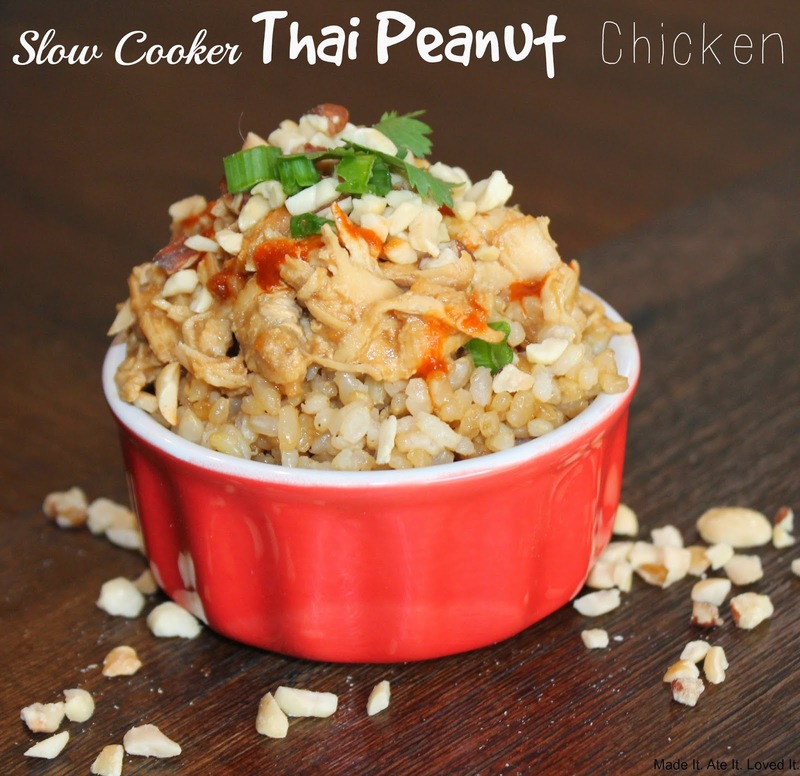 I knew then that I should pair this popular food item with the peanut butter and create a slow cooker meal! Throw top 8 ingredients in a crockpot and cook on low for 6-8 hours or high for 3-4 hours. 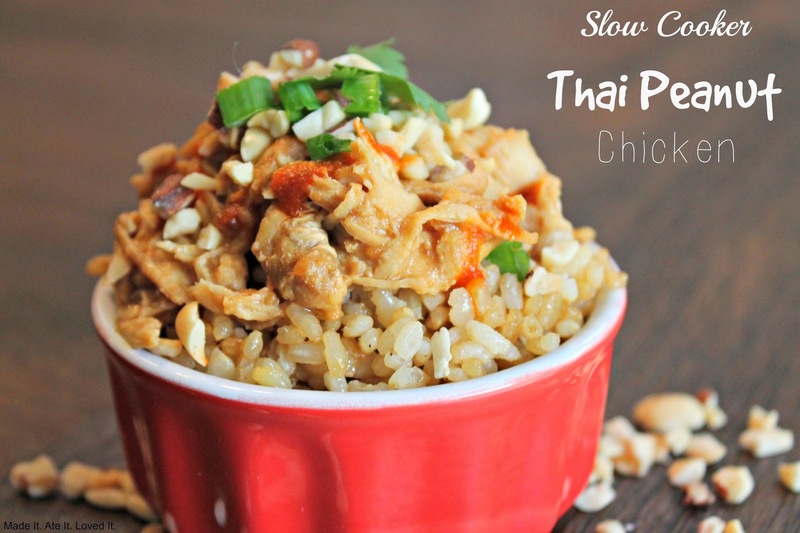 Serve on top of rice and garnish with Sriracha, scallions, cilantro, and peanuts.